If there’s one nutrient that takes way more heat than it should, it’s carbohydrates. Lots of fad diets (like the ketogenic diet and Atkins) promote the restriction of carbs for weight loss-but is that a great strategy for the average person? Not necessarily. It’s true that some foods high in carbs are not the healthiest choices. Research suggests that those not-so-healthy carbs (known as refined carbs)-such as sugary desserts, baked goods, and processed foods like chips-promote weight gain and increase hunger. Still, not all carbs are created equal, and eating the right type of carb can actually benefit your health greatly. Carbs (aka glucose) are your body’s primary source of energy. That means you need carbs to power through exercise. Your brain needs carbs to function at its peak. And yes, you need to eat carbs to simply breathe. That doesn’t mean you can go crazy and load up on all the carbs you want-it simply means you shouldn’t be afraid of adding healthy carbs to your meals. You’ve probably heard of a beneficial nutrient called fibre (it helps keep you full and aids in digestion), but you may not realize that fibre comes from-you guessed it!-carbs. This macronutrient isn’t just found in cakes, white bread, and pretzels. Nutrient-rich foods like fruits, vegetables, whole grains, legumes, beans, and even dairy all contain carbs. So, ready to ditch your low-carb ways? Here, 12 healthy carbs you should be eating more. Sweet potatoes have tonnes of health benefits. 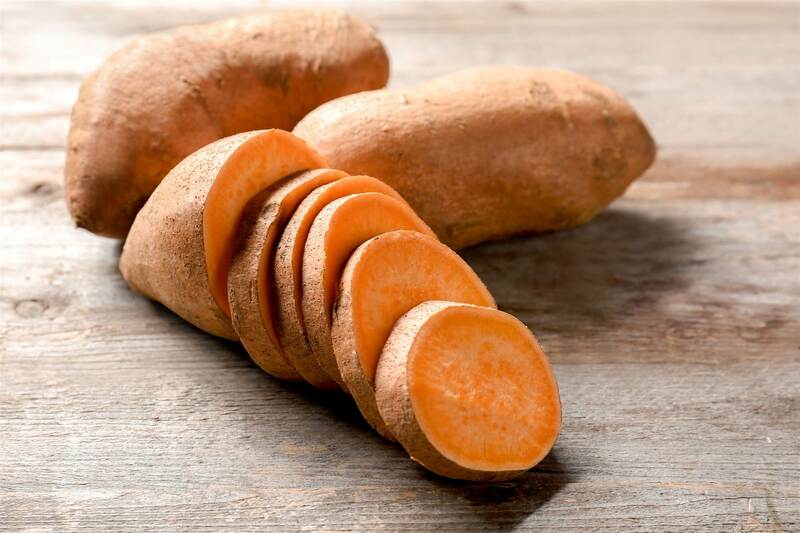 Not only does one medium sweet potato contain just 418kJ (100cal) and roughly 25 grams of healthy carbs, but it’s also packed with eye-protecting vitamin A (up to 6 times your daily value!) and heart-healthy fibre. Eat it: This sweet orange spud is as versatile as it is affordable. Roast it whole or cubed and add it to salads, microwave it and eat on its own with your favourite toppings, turn it into toast or chips, or mash it for the perfect side dish. Any way you eat it, the sweet potato makes a delicious addition to practically any dish. Rice has a terrible reputation, but brown rice is actually a really healthy whole grain option because it contains satiating protein and fibre. 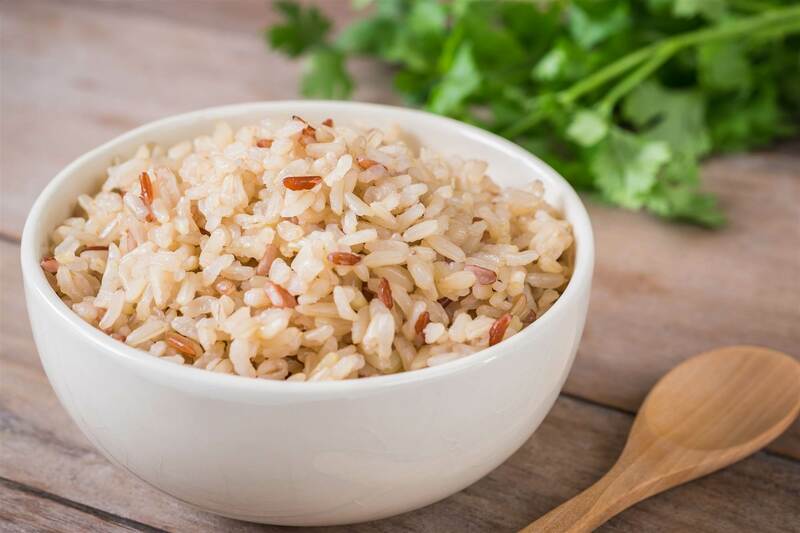 A 1/2 cup of cooked brown rice has just 120 calories, 2 grams of fibre, 3 grams of protein, and 26 grams of healthy carbs. Eat it: Brown rice is a filling side dish to accompany any protein, and it also makes a great filling for roasted veggies, like peppers or stuffed tomatoes. This tropical fruit not only tastes like dessert, but 1 cup has over 100 percent of your daily vitamin C, 25 grams of carbs, and more than 1/3 of your daily vitamin A for just 418kJ (100cal). 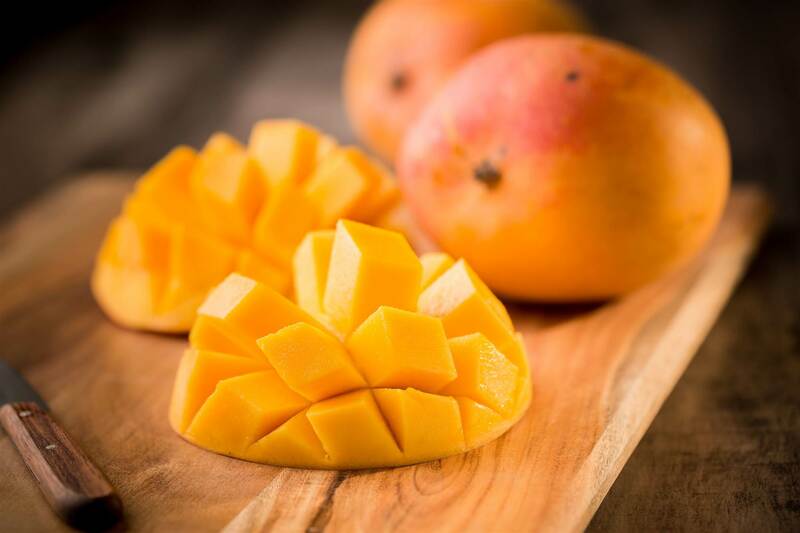 Buying fresh mangoes year round is tough, but they are always available in the frozen section (which is great if you’re into healthy smoothies). Eat it: Mangoes make a delicious snack with a squeeze of lime juice and a sprinkle of sea salt. This gluten-free whole grain is a breakfast staple that packs a nutritious punch. With 27 grams of healthy carbs, 4 grams of fibre, and 5 grams of protein in just ½ cup, oats are a filling breakfast option to start your day. They also happen to have a fibre called beta-glucan, which may help to lower cholesterol levels and reduce the risk for heart disease. Eat it: It’s not hard to whip up a batch of hot porridge, but why not also try a simple overnight oats or some breakfast cookies? 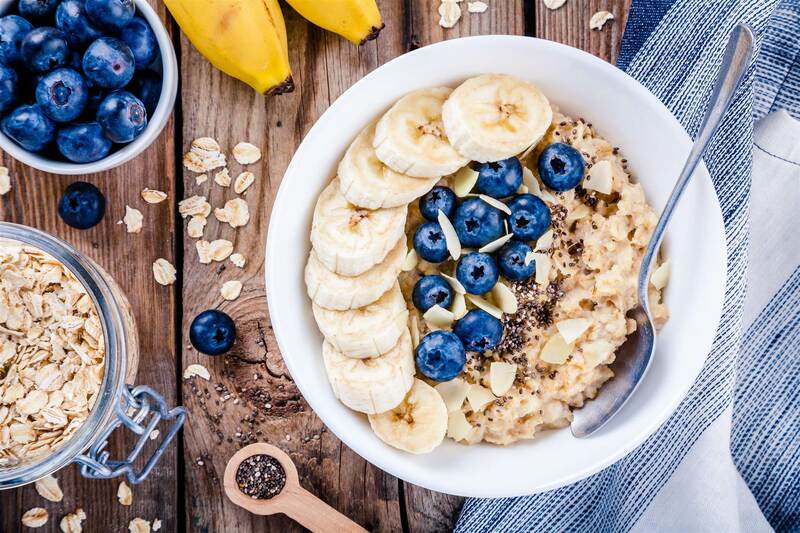 Oats can also serve as the base for pre-workout bites, which offer tonnes flavor and energy. This gluten-free grain-actually, it’s a seed-has gone totally mainstream. Derived from the Andes mountains, quinoa boasts an impressive nutrient profile with 20 grams of healthy carbs, 4 grams of protein, 2.5 grams of fibre and 150 milligrams of potassium in just ½ cup cooked. 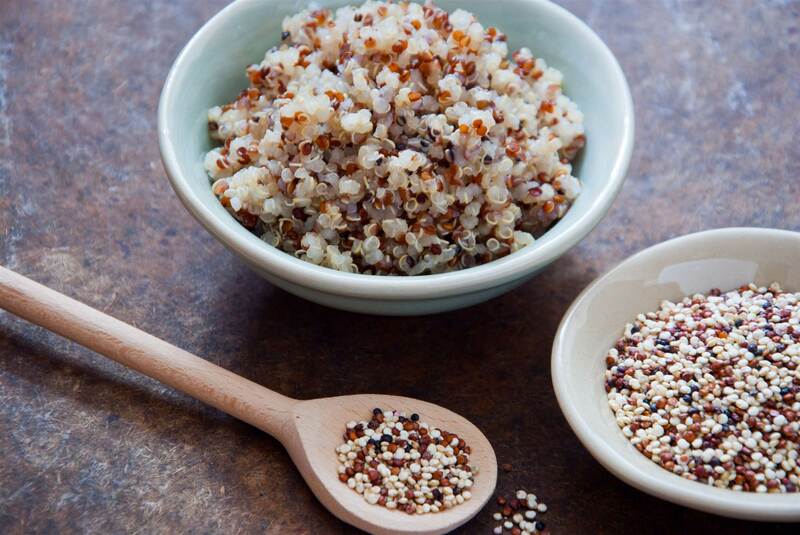 Eat it: Quinoa is a handy grain for meal prepping, since it freezes well and stays in the fridge for about a week. Whip up a batch to add to porridge or try a hearty quinoa, black bean, and avocado salad. 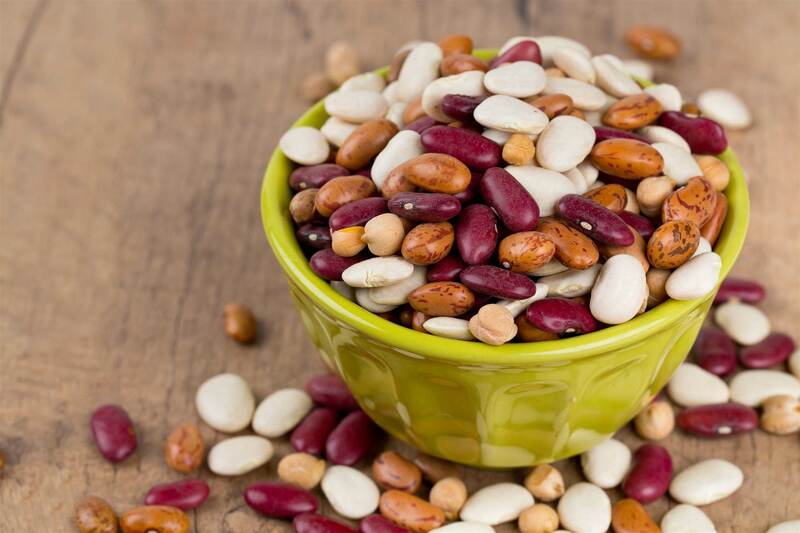 Beans come in many shapes and sizes, but they all contain a good amount of protein, fibre, and complex carbs. With roughly 7 grams of protein and 20 grams of carbs in ½ cup of canned beans, this gluten-free staple will help keep you full long after eating. As an added bonus, a serving of black beans contains more iron than 90 grams of flank steak, while red beans are packed with antioxidants. Eat it: Break open a can of beans, rinse, drain and add to your favourite rice bowl for a complete meal. It’s time to forget the old adage that you shouldn’t eat anything white and embrace the white potato. These simple tubers serve up about 627kJ (150cal), 33 grams of carbs, and 860 milligrams of potassium (or almost 20% of your daily needs). 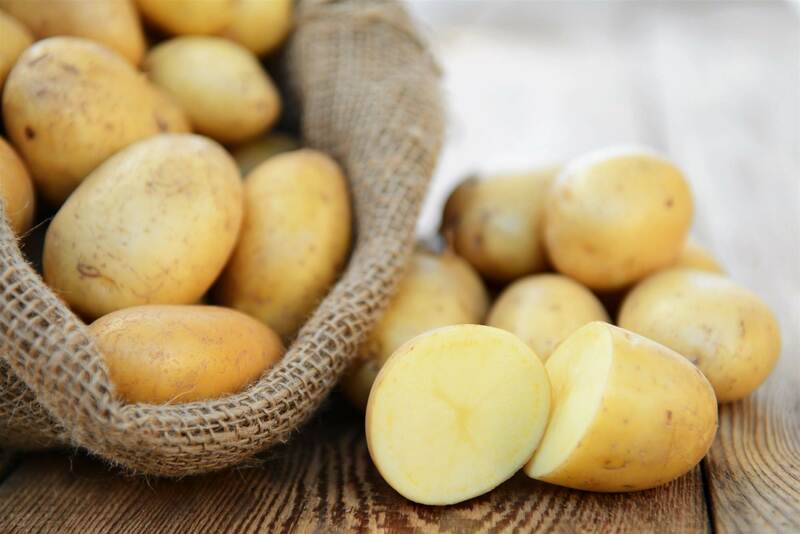 Plus, potatoes are a resistant starch, meaning that they help with digestion and reduce your appetite. Eat it: To get the most bang for your potato buck, skip the fries and roast it up whole or make potato wedges. A good rule of thumb when choosing veggies is that the darker the colour, the more nutrients it contains-and beets are no exception. Their dark purple colour means they’re rich in antioxidants, like anthocyanins, betaine, and lutein. 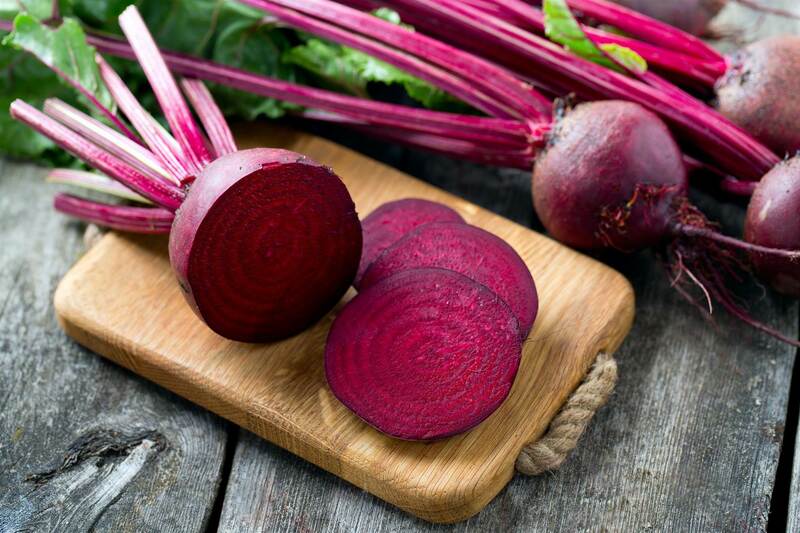 Some research suggests that betaine in particular may reduce your risk of developing cardiovascular disease, thanks to its anti-inflammatory properties. Three beets have 418kJ (100cal), 23 grams of carbs, 7 grams of fibre, and 800 milligrams of potassium. Eat it: Beetroot is easy to roast up with some nuts and goat cheese. They make a colourful addition to any salad, or you can spice things up by blending them into a smoothie. This starchy and sweet root veggie is also a snackable healthy carb. 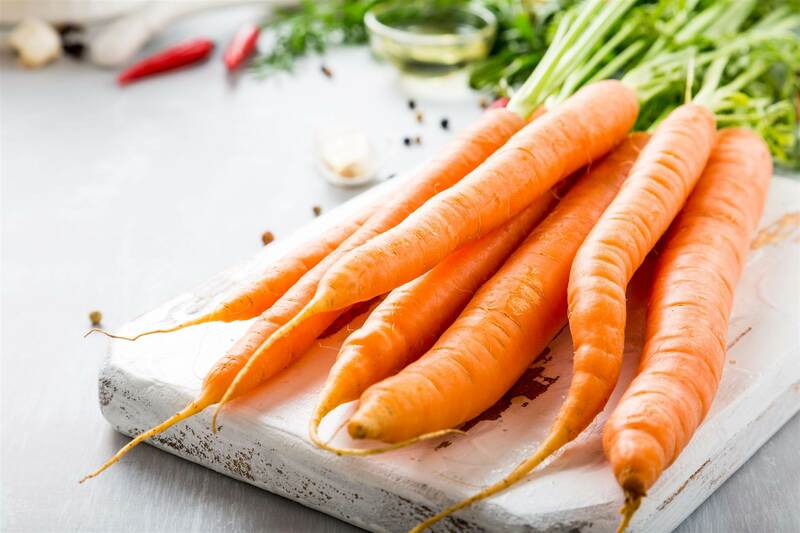 Three large carrots offer about 20 grams of carbohydrates, plus more than 100 percent of your daily vitamin A and 15 percent of your daily potassium needs. If you’re into juicing, the nutrients in carrot juice are also great for your eyes, skin, and immune system. Eat it: Carrots are a simple salad addition or portable snack, but they also make a delicious roasted side dish. This peel-able fruit is revered for its sweet taste and shot of potassium. One medium banana has 418kJ (100cal) and 26 grams of healthy carbs. While they’re higher in natural sugars, they’re also rich in fibre-which helps slow the absorption of that sugar into your body. 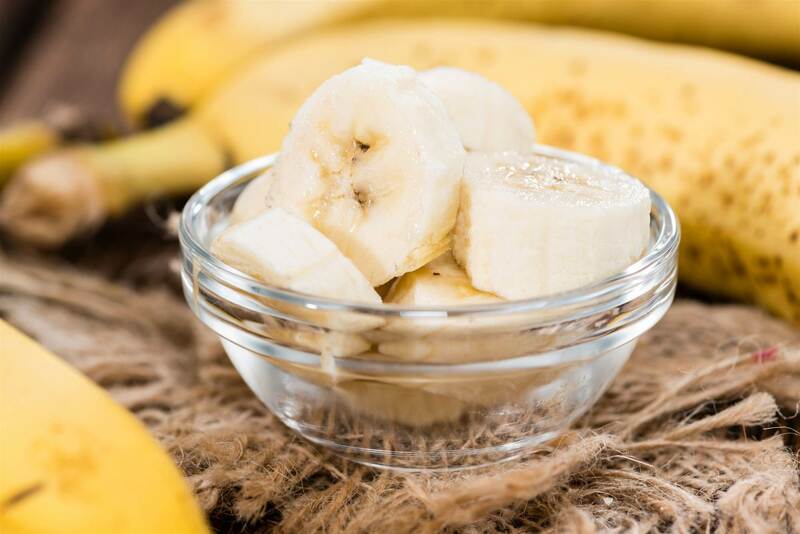 Plus the health benefits of bananas go beyond their ability to make desserts healthier: They’re great for your gut, are the perfect pre-workout fuel, keep your appetite in check, and are heart-healthy. Eat it: Throw a banana in your gym bag for a quick pre-workout snack. You may be surprised to learn that dates grow on trees and are actually a fruit! They are inherently rich in sugar, which makes them a good source of complex carbs. In just two Medjool dates, you’ll get 33 grams of healthy carbs and 4 grams of fibre (14 percent of your daily value). Dates contain insoluble fibre (the kind that doesn’t dissolve in water), so they can help ease constipation by adding bulk to your stool. 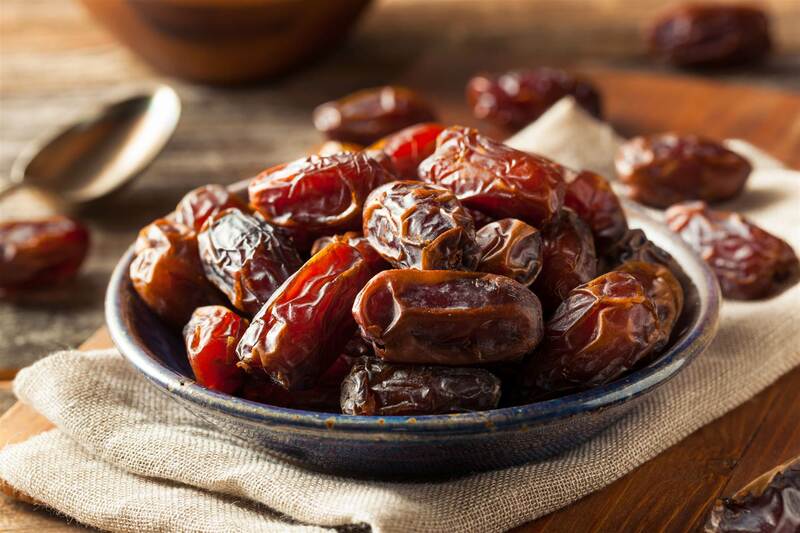 Eat it: Replace the sugar in baked goods with dates. This nutty and versatile grain should be a staple in your kitchen. Just 1/4 cup offers 6 grams of protein, 30 grams of healthy carbs, and 4 grams of fibre for 627kJ (150cal). 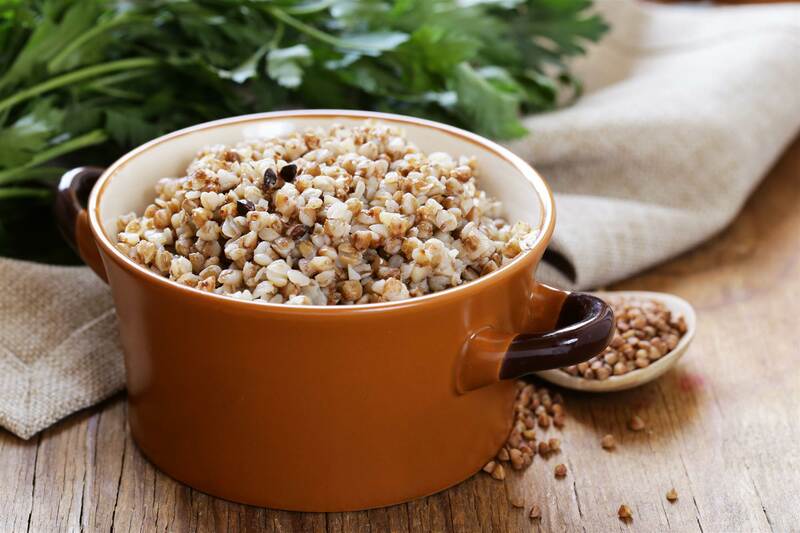 Buckwheat is also high in soluble fibre (the kind that attracts water) which helps slow your digestion to keep you feeling fuller for longer. Eat it: You can cook up buckwheat and serve it as a higher protein substitute for almost any other whole grain, or it’s delicious when roasted into a crunchy granola.